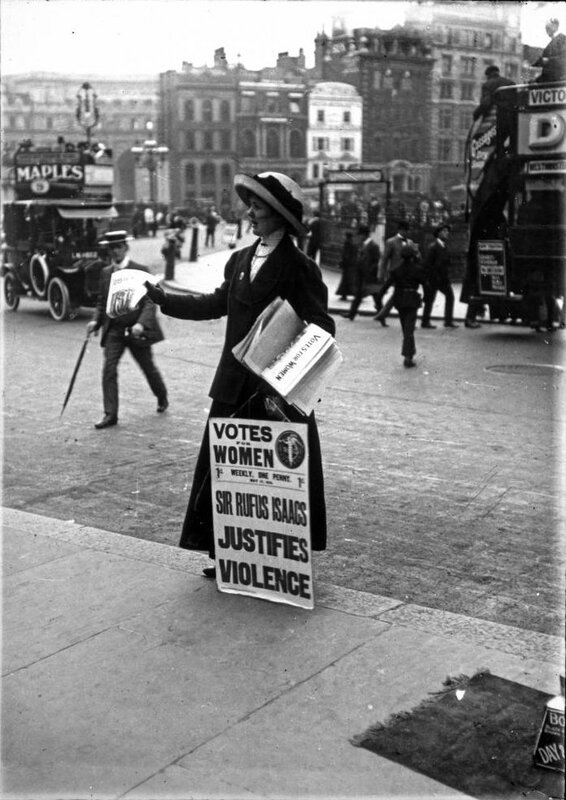 First, it was the the Suffragettes movement, in the late 19th and early 20th century. 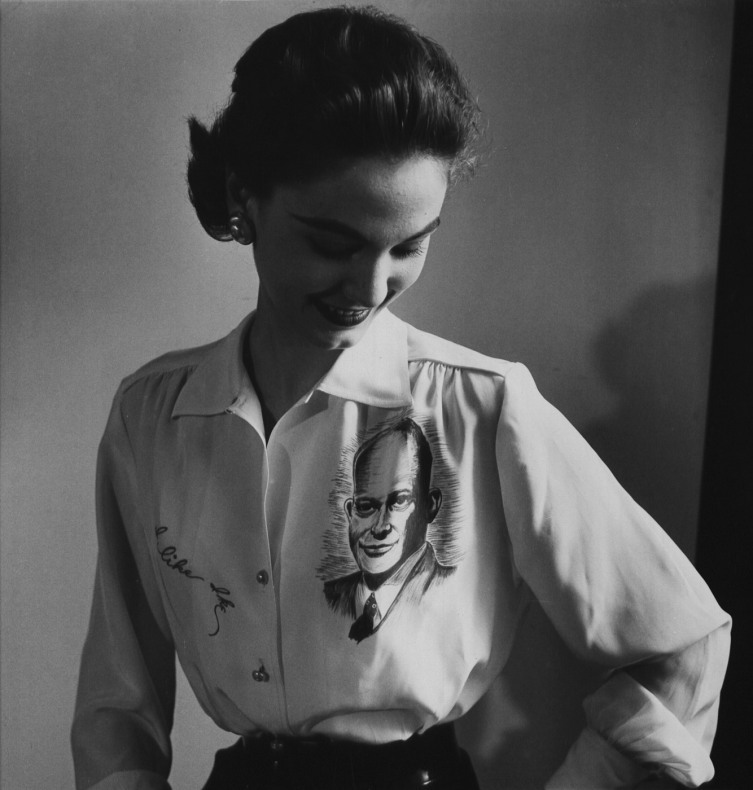 In 1952, women in ‘I like Ike’ slogan-clothing showed their support to the Republican candidate, D.D. 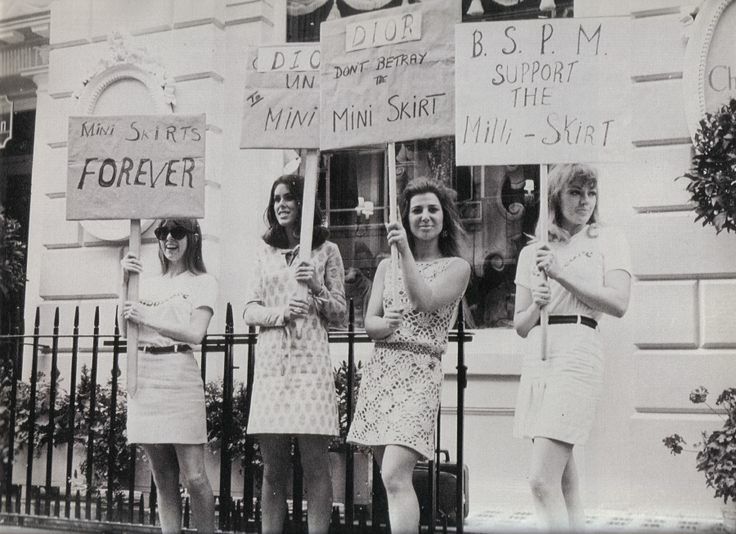 Eisenhower .Then, there were the girls in mini skirts, protesting against Christian Dior’s under the knee dresses, for their right to wear mini skirts in the 1960s. 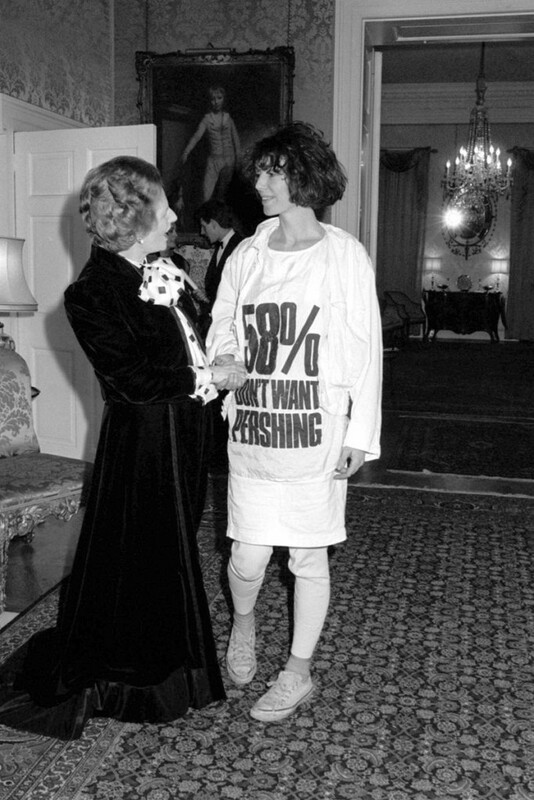 In 1984, Katharine Hamnett made her views clear with her ‘58% Don’t want Pershing’ dress, in front of Margaret Thatcher. 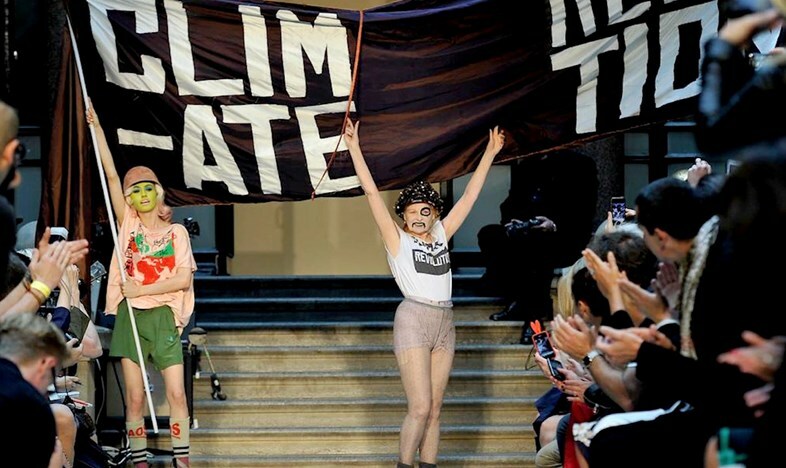 Of course, there are fashion protest moments against fashion itself, with ‘Femen’ taking on the runway several times by today, declaring their scepticism on the way the fashion industry works, with ‘model, don’t go to brothel’ phrases painted across their torsos. 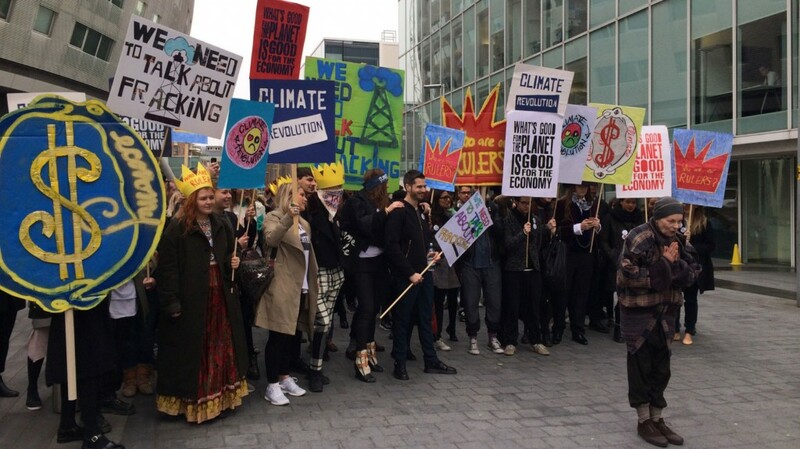 Then again, designers like Alexander McQueen and Vivienne Westwood show the world how fashion is not just about selling expensive clothes to rich women and trying to get people to buy more and more products they don’t need. 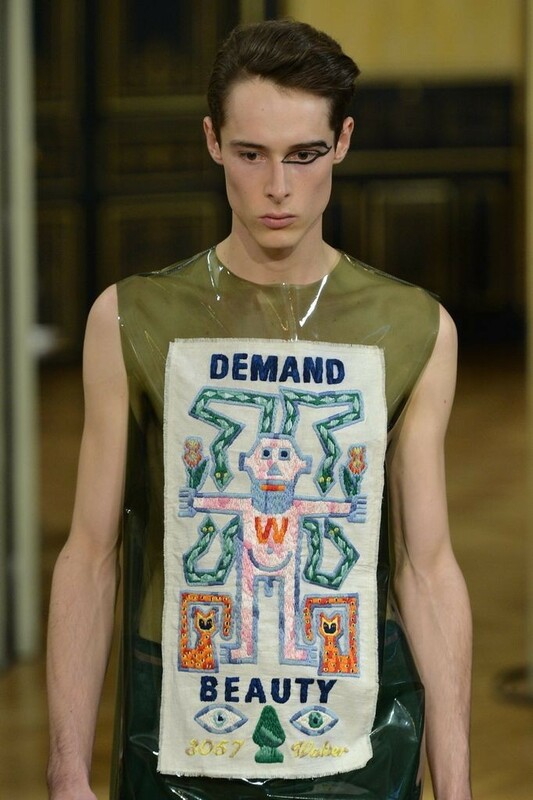 Models, took also a stand back in 1994, this time against the use of fur in the clothing market. 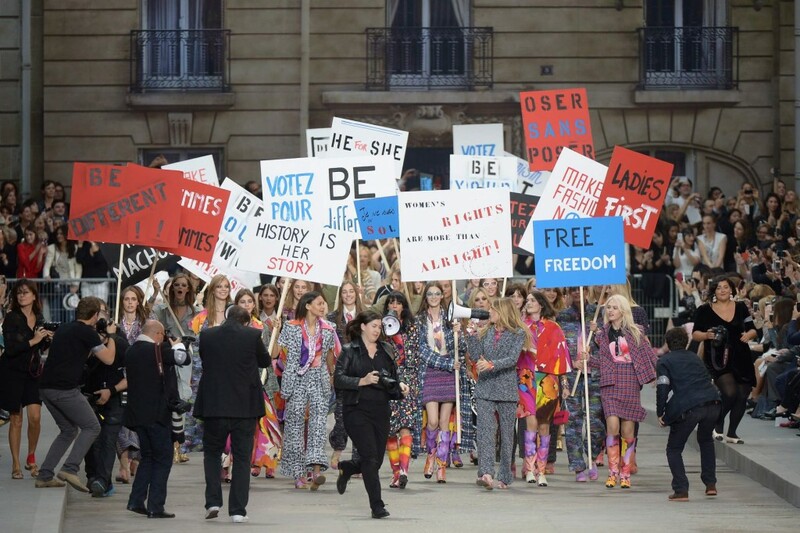 And by now, there are two new additions to the ‘fashion political statements’ category, with the Chanel S/S 2015 and Walter van Beirendonck A/W 2015 shows, which are however criticised for using ‘protest’ in order to attract attention, rather than to address political and social views. 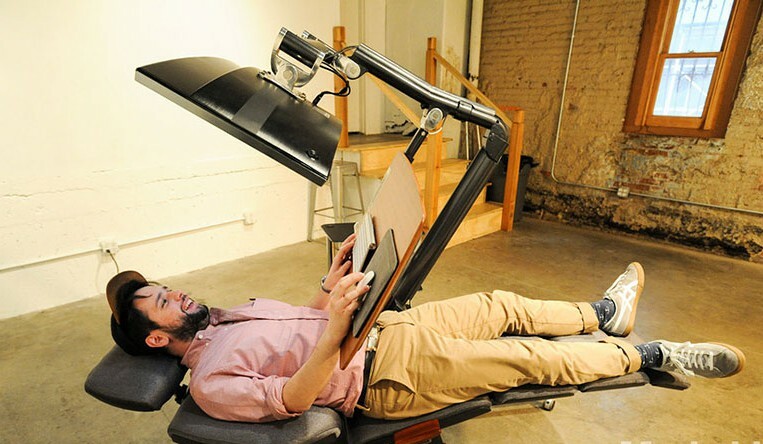 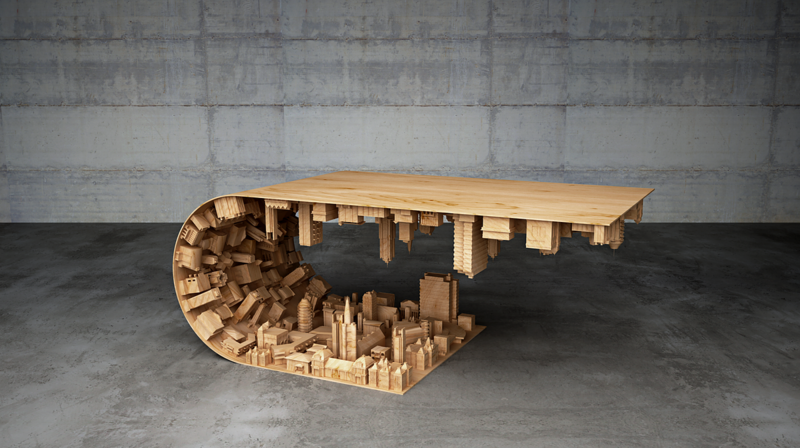 One thing for certain? 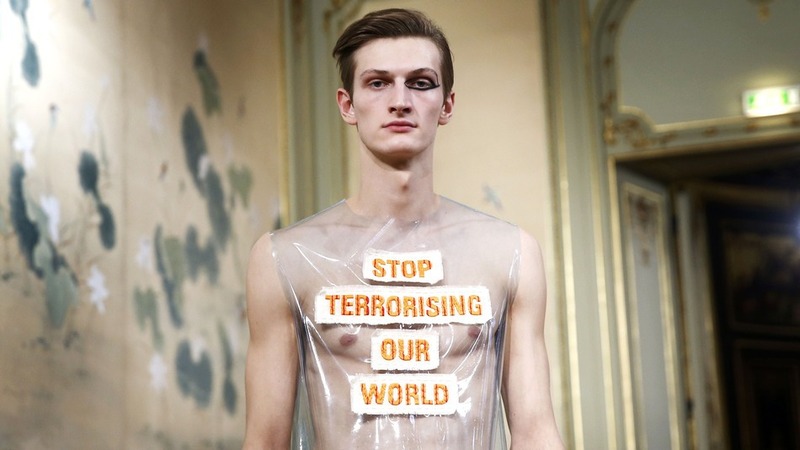 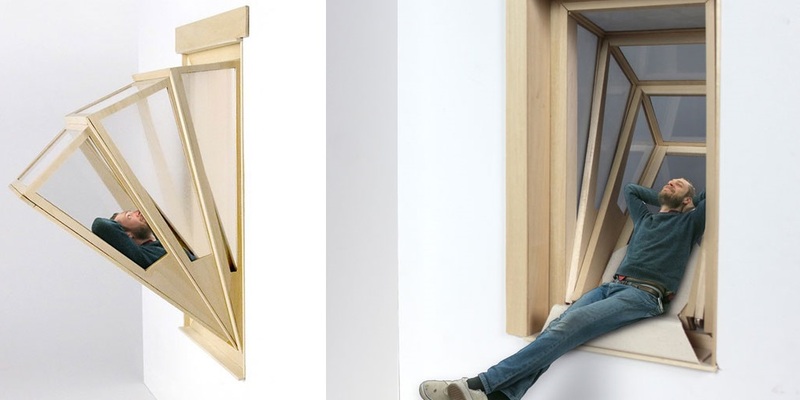 Fashion is much more than what meets the eye. 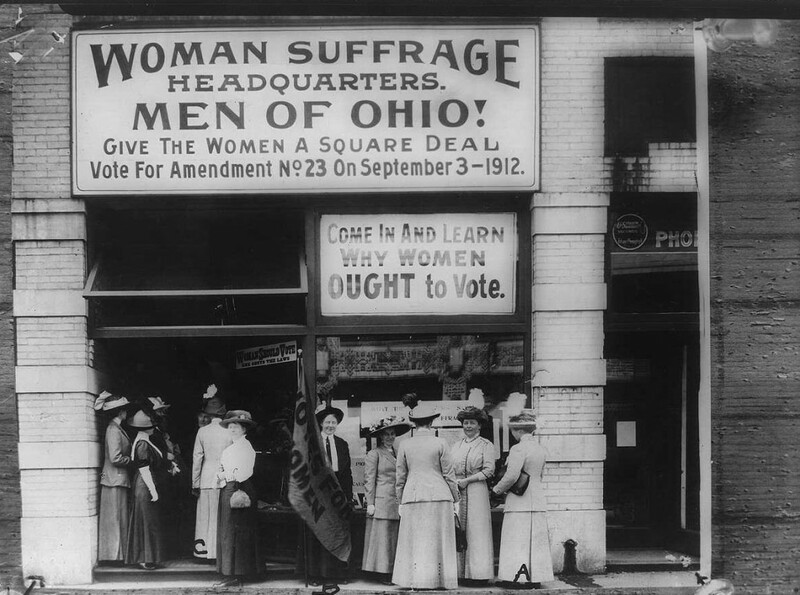 Take a look on some photos of the above-mentioned political moments in the history of fashion.